Kuna Library is proud to offer a variety of events and special programs for patrons of all ages. Have you ever wondered how much you save each month by using the services at Kuna Library? 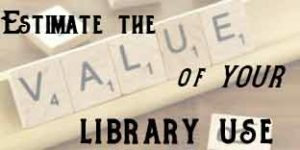 Now you can find out by using our online Library Value Calculator. Wednesday, May 1 from 10 am – 12 pm you can learn to knit at Kuna Library! 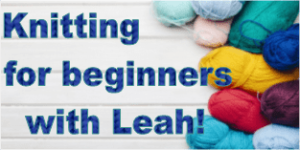 Leah will teach students the basic skills needed for knitting. Participants must bring their own supplies: 1 set of size 7 bamboo needles and 1 skein of worsted acrylic yarn, or you may purchase a $10 kit from Leah. Class size is limited to 6 so call the library today to reserve your spot (208) 922-1025. The Kuna Library has added board games to its collection and they are ready to be checked out. Games can be checked out for one week and a content list is provided with each game. There are games available for all ages. Adults, every time you finish reading a book, you can enter your name into a drawing to win a book? Drawings held every Monday and the winner will be notified. Entry forms are located at the circulation desk. Drawings open to adults 18 and over. The 7th Level by Jody Feldman is the Mayor's Book Club book for May! Stop by front desk to pick up your copy!